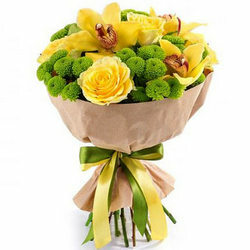 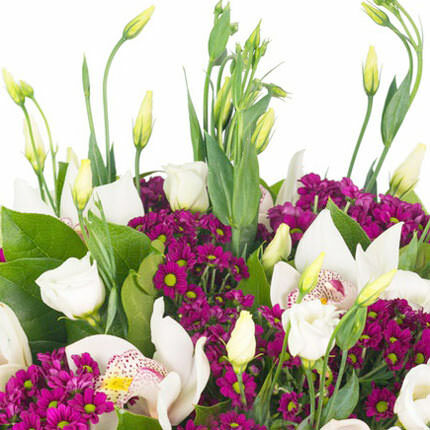 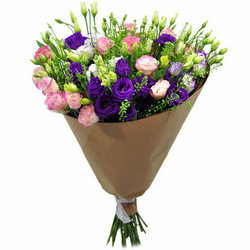 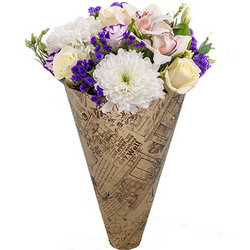 We have no doubt that your recipient enjoy the pleasant combination of this delicate flowers! 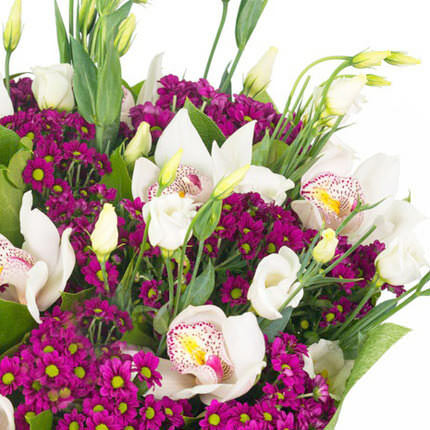 Bouquet perfectly suited for congratulations on a wonderful summer holiday! 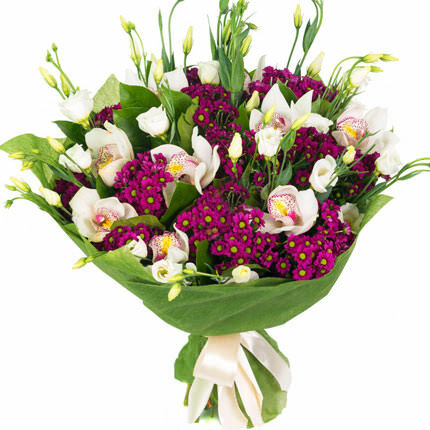 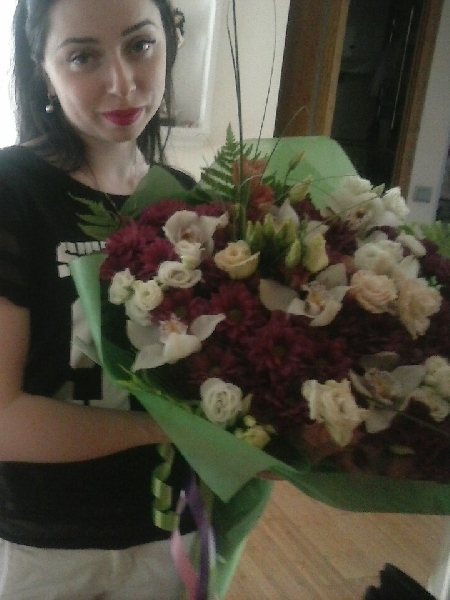 Composition: 7 orchid flowers, 10 branches of eustomаs, 10 branches of burgundy camomile chrysanthemums, greenery, decoration. 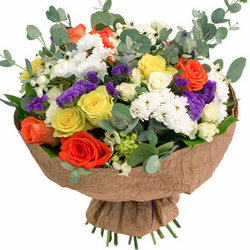 20032019 © Flowers.ua Summer bouquet "Senorita"